In a year marked by scandals, Facebook continues to be shaken by damning revelations. The social network is once more in the eye of the storm, thanks to a bombshell report by the New York Times, which details how the company relied on shady tactics and misdirection to hide its problems and manage its public image during the last 3 years. The full The New York Times report is well worth a read. As well as the Cambridge Analytica data scandal, it details how the social network failed to disclose evidence of Russian cyber-espionage back in 2016 and grappled ineffectually with the company's role in amplifying hate speech and racism. Yet, most disturbing of all were the details of how Facebook went on the warpath to manage its public reputation - leveraging a political opposition group that trafficked in anti-Semitic propaganda. And what does Facebook CEO Mark Zuckerberg, and his second in command Sheryl Sandberg, have to say about their accountability in the matter? The classic "I didn't know anything!" of the naughty schoolchild. That's not going to cut it this time. As Facebook faced an increasingly strong backlash over Russian influence, the company launched a counterattack in the form of a lobbying campaign - overseen by COO Sheryl Sandberg. The goal was to discredit critics of the social network and deflect anger toward rival tech firms. Facebook tapped hardened Washington lobbyists and bent the ears of Senators on both sides of the aisle. Distasteful, certainly, but hardly abnormal for a big corporation. But the company also deployed a public relations firm to smear its political critics and channel public outrage towards rival companies like Google. The firm, Definers Public Affairs, has been described as "an outfit of elite GOP operatives" specializing in opposition research on behalf of Republican politicians. Definers efforts on behalf of Facebook included the spreading of anti-Semitic conspiracy theories about billionaire George Soros a well-known donor to liberal causes and critic of the social network. In addition to this, Definers also heavily pushed pro-Facebook, anti-Google/Apple stories on Conservative-leaning media platforms. But Facebook's champions weren't only found among Republicans. Washington senior Democrat, New York Senator Chuck Schumer had Zuck and co.'s back during the crisis, and warned fellow Senator Mark Warner to back off Facebook. Not only has Schumer raised more money from Facebook employees than any other member of Congress during the 2016 election cycle, his own daughter works as a marketer for the social network. Facebook embracing the political dark arts to maintain influence in politics and media is bad enough, but what's even worse is the completely lack of accountability coming from Facebook's leadership. They have evidently decided that it's less damaging to come across as ignorant rather than evil. "I learned about this reading it in The New York Times yesterday," Zuckerberg said. "As soon as I read about this… I got on the phone with our team and we’re no longer working with this firm." COO Sheryl Sandberg, Zuckerbeg's hand-picked second in command, scrambled to perform damage control with a confusing defense. 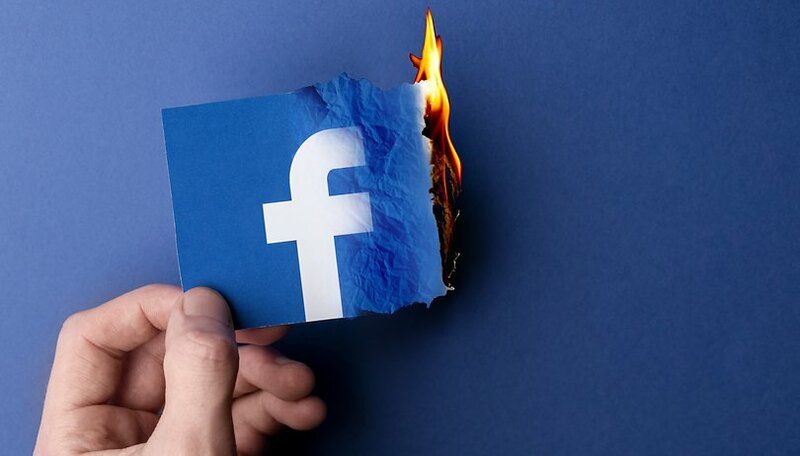 At first she claimed that Facebook's relationship with Definers was already "well-known" before later stating "I did not know we hired them or about the work they were doing". Yes, we're all laughing here too. And if you also took that with a raised eyebrow, you're not just being cynical. TechCrunch has followed up with a report detailing historical connections between Definers, Republican politicians and high-ranking Facebook employees. Has Facebook squandered the last of its trust? Facebook may be a world-straddling colossus, but there are signs that this titan is buckling at the knees. After all, Facebook extracts its value from its users, because of the trust they place in it...Zuckerberg wants people to associate Facebook with their friends and family and favorite social groups, not with the dirty business of Washington subterfuge. On top of privacy and propaganda scandals, it seems that all the money and connections in the world still can't keep a lid on Facebook's dirty laundry. For many users, what prevents them from ditching the social media platform is one of inertia...the lack of an easy alternative to jump ship to. But with every scandal, the giant wobbles a little more precariously. Looking at the state of Facebook today, it's hard to imagine the blue F standing tall for years to come. And we all love a good story of hubris, don't we? What do you think of Facebook's latest scandal? Do you think its days are numbered? I just use FB to keep in touch with relatives and friends. I have almost no info in my profile as well. What they say about Soros isn't a conspiracy. It's well known. He is anti-semitic. My goodness! doesn't anyone read? The right is who has complained the most! What is wrong with this author! Spin much?!?! I agree with Storm social media is just a bad idea. Social media is the cancer of today society. I remember when the good old days , when a troll was only found in fairytales. Now the internet is full of them, gutless idiots hiding behind a computer screen. Posting crap they would never have the nerve to say to you in person. The foundational issue is that users are the product being sold. As such, we are treated with as much contempt and disrespect as if the bag of food on the supermarket shelf started making demands of the store owner. We are a commodity to the tech companies, and they want us to shut up and generate data for their real customers. The more we complain, the more we take them to court, the less respect they have for us. This is not a scenario with even a possibility for a happy ending until someone finds a way to make us the customer or at least co-customer with the people who are buying and using our data. When the ship has openly laid plans to goover the waterfall you don't want to jump onto an other ship on the same course. Social Media is just a a bad idea.